We aim to be the preferred solutions partner in the global offshore and marine industry. as compared to $6.2b for FY 2015.
as compared to $482m for FY 2015. Delivered 21 major projects safely, on time and on budget. Completed the acquisition of Cameron’s offshore product division, which comprises the LETOURNEAU™ jackup rig designs, as well as rig kit, aftersales and aftermarket businesses. Jointly won a licence with Shell to supply Liquefied Natural Gas (LNG) bunker to vessels in the Port of Singapore. Secured an order to build three dredgers worth about $100 million from Jan De Nul Group. Continue to focus on execution excellence, resource optimisation, corporate governance and risk management. Leverage core competencies and synergies across the Keppel Group to build up new strengths and expand solution offerings. Invest prudently in R&D and new capabilities to strengthen market position for long‑term growth. Explore ways to re‑purpose technology from the offshore industry for other uses. Despite a dearth of offshore rig orders, the Offshore & Marine (O&M) Division secured new contracts of about $500 million for non‑drilling solutions in 2016, leveraging its technology expertise and track record for reliable execution. As at year‑end, non‑drilling solutions made up over half of the Division’s $3.7 billion net orderbook. The Division’s revenue for the year was $2.9 billion, a decrease of 54% year‑on‑year, mainly due to lower work volume, some project deferments and the suspension of contracts with Sete Brasil. Impairments amounting to $277 million were made for fixed assets, stocks & work‑in‑progress and investments during the year. Excluding this, the Division turned in a strong operating profit of $412 million, translating into an operating margin of 14.4% for FY 2016. The Division’s FY 2016 pre‑tax earnings of $90 million was $609 million or 87% lower year‑on‑year, due mainly to lower revenue and share of associated companies’ profits, as well as the aforementioned impairment of assets. Accordingly, net profit of $29 million for the year was $453 million or 94% lower than for FY 2015. The agreement of the Organisation of Petroleum Exporting Countries (OPEC) and non‑OPEC nations to cut supply at the end of 2016 has renewed market optimism and confidence. Since then, oil prices have risen to around US$55 per barrel. The market has seen active steps by oil producing nations to cut crude production by a target of 1.8 million barrels per day (bpd). According to secondary sources, OPEC production had decreased by 890,000 bpd in January 2017, about 70% of its targeted 1.2 million bpd. Despite oil prices doubling from a year ago, capex by oil companies remained subdued as they work on improving their balance sheets while waiting for oil prices to stabilise and settle at a sustainable level. The market’s focus will be on the response of US tight oil production, which could potentially limit oil price increases in 2017. Meanwhile, demand in the offshore rigbuilding market remained tepid as concerns over an oversupply of rigs linger, coupled with an overhang of rigs still under construction. In response to the challenging external environment, Keppel O&M continued with its rightsizing efforts to streamline operations and reduce overheads. During the year, the company’s direct global staff strength was reduced by 35%, while its subcontract workforce in Singapore came down by 13%. It also mothballed two supporting yards, PT Bintan Offshore and Keppel Singmarine Brasil, in Indonesia and Brazil respectively. In 2017, Keppel O&M intends to complete the closure of three supporting yards in Singapore. The sum of Keppel O&M’s rightsizing efforts in 2016 resulted in a year‑on‑year reduction of $150 million in overheads. The company will continue to streamline its operations, optimise resource deployment and manage costs to ride out the offshore sector downturn and become stronger, leaner and more competitive. Meanwhile, the company continued to secure a steady stream of work from the non‑drilling sector, leveraging its technology know‑how and reliable execution. In 2016, Keppel O&M delivered 21 major projects safely, on time and on budget. These consisted of, among others, four jackup rigs, a land rig, an accommodation semisubmersible (semi), a semi upgrade, and six Floating Production Storage Offloading (FPSO)/Floating Storage Unit (FSU) modification and conversion projects. Keppel O&M remains committed to investing prudently in R&D and developing new capabilities to seize other market opportunities. During the year, it completed the acquisition of Cameron’s offshore product division, which comprises the LETOURNEAU™ jackup rig designs, as well as the rig kit and aftersales and aftermarket businesses. Renamed Keppel LeTourneau, the unit augments Keppel O&M’s existing capabilities to provide a full‑suite of end‑to‑end jackup rig solutions to its customers. Through its subsidiary, Gas Technology Development, Keppel O&M signed a Memorandum of Understanding (MOU) with Shell Eastern Petroleum (Shell), to jointly explore opportunities to cater to the demand for LNG as a fuel in coastal areas, inland waterways and the international marine sectors. Keppel O&M further established a 50‑50 joint venture (JV), FueLNG, with Shell to supply LNG bunkering services to vessels in the Port of Singapore. FueLNG subsequently secured its first two contracts from Shell to provide bunkering services to two dual‑fuel diesel LNG tugs, which are being built by Keppel Singmarine for Maju Maritime and Keppel Smit Towage. Fostering greater partnership with customers, Keppel O&M entered into a shareholders’ agreement with Rosneft Oil Company and MHWirth to set up a Singapore incorporated JV company. The JV company will establish a wholly‑owned design and engineering centre in the Russian Federation focused on designing and engineering mobile offshore drilling units for shallow waters. Looking ahead, the company will also explore the re‑purposing of its offshore technology and solutions to capture opportunities in the non‑drilling sector. 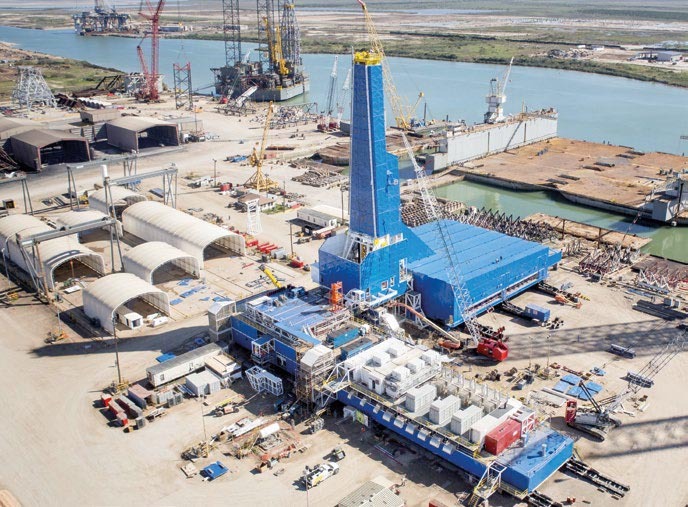 In 2016, Keppel FELS delivered three jackup rigs safely, on time and on budget to Gulf Drilling International (GDI) and Grupo R, as well as its fifth high‑specification accommodation semi to Floatel International. During the year, it also completed 18 repair and modification projects worth more than $100 million. These included maintenance and installation work on the semis Ocean Apex and Ocean Great White for long‑time customer Diamond Offshore. As part of the strategy to grow its presence in the non‑drilling sector, Keppel FELS is actively pursuing work such as the design and construction of production units, floating gas solutions, power‑generation vessels and offshore wind‑related projects, among others. 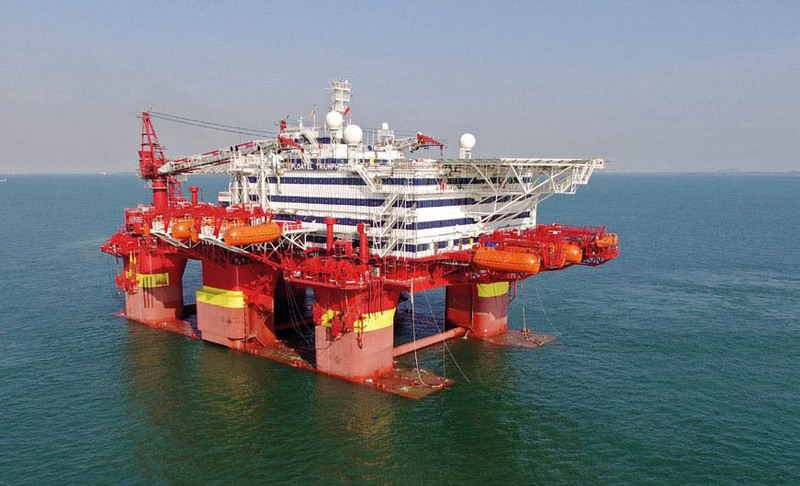 Keppel FELS delivered Floatel Triumph, a high-specification accommodation semi, safely and on time. Keppel Shipyard serviced over 400 vessels during the year, including 30 LNG carriers. The yard also completed six FPSO and FSU conversion and upgrading projects, including the conversion of one of the world’s largest FPSO vessels, the Armada Olombendo, for Bumi Armada, as well as a harsh environment FPSO for the North Sea and a pipelay vessel upgrading project for Saipem. Reinforcing its position as a global leader for vessel modification, upgrading and conversion, Keppel Shipyard secured several contracts, including an FPSO topside installation/integration job from BW Offshore, an FPSO modification/ upgrade project from Woodside Energy and a Floating Storage & Offloading (FSO) turret fabrication job from SOFEC. During the year, Keppel Singmarine successfully delivered several projects including a high‑specification deepwater derrick lay vessel to Hydro Marine Services, a subsidiary of McDermott International, as well as the yard’s fifth anchor handling tug to Seaways International. It also launched Everest, an ice-class multi-purpose vessel for New Orient Marine safely and on time. Everest is Keppel Singmarine’s 11th newbuild ice-class vessel project. 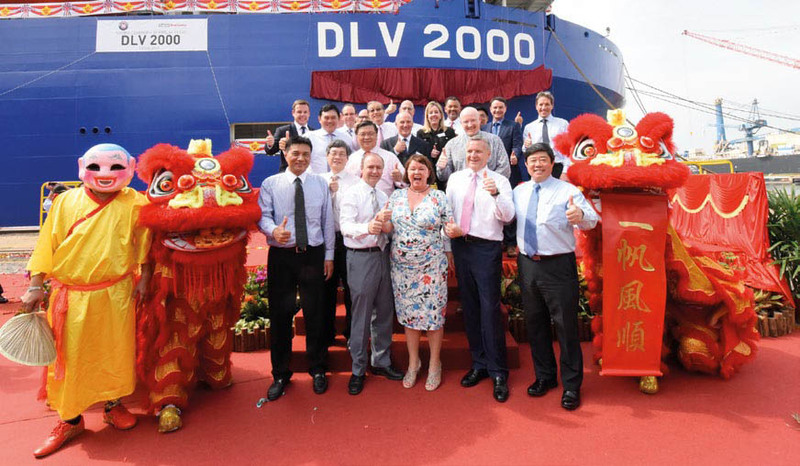 Senior management from Keppel O&M and McDermott International celebrated the naming of DLV 2000, a high-specification deepwater derrick lay vessel built to Keppel’s proprietary design. In 2016, Keppel Singmarine clinched several contracts to provide solutions for marine operations, including three Trailing Suction Hopper Dredgers from the Jan De Nul Group. The yard also embarked on constructing its first pair of dual-fuel diesel LNG tugs for Maju Maritime and Keppel Smit Towage, which are being built to Keppel’s proprietary design. In China, Keppel Nantong continued to support Keppel O&M’s projects and constructed two 65‑tonne bollard pull Azimuth Stern Drive tugs for delivery to an Indonesia‑based owner. Meanwhile, its sister yard Keppel Nantong Heavy Industries supported Keppel FELS with the construction of pontoons, columns as well as the upper hull of a semi. Over in the Philippines, Keppel Batangas repaired over 50 vessels in 2016, a number of which were from repeat customers. The yard also completed the construction of two 50‑tonne bollard pull Azimuth Stern Drive tugs. Keppel Batangas will continue to focus on shiprepair, as well as look for newbuilding project opportunities. Meanwhile, Keppel Subic Shipyard repaired over 20 vessels. With its 1,500‑tonne gantry crane and drydock facilities, Keppel Subic Shipyard is equipped to fabricate offshore structures and topside modules, complementing Keppel Shipyard in executing FPSO conversions. As part of ongoing efforts to improve cost‑efficiency, the commercial departments at both Keppel Batangas and Keppel Subic Shipyard have been centralised. 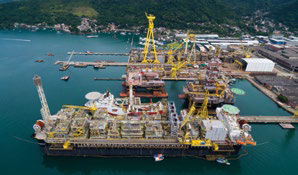 In Brazil, BrasFELS delivered the FPSO Cidade de Caraguatatuba MV27 to MODEC in a collaborative effort with Keppel Shipyard. The FPSO is being deployed to support Petrobras’ operations in the Lapa oilfield of the Santos Basin. This vessel was the yard’s fourth FPSO project for MODEC since 2012, all of which were delivered safely and ahead of schedule. Building on the longstanding partnership, MODEC awarded an FPSO module fabrication and integration project to BrasFELS in 2016. During the year, BrasFELS continued to diversify its repair client base, securing its first repair jobs from Ocean Rig UDW and Helix Energy Solutions. It is currently working on three FPSO projects. Meanwhile, Keppel Singmarine Brasil completed a Platform Supply Vessel for bareboat charter to Galaxia Maritima. Over in Texas, USA, Keppel AmFELS delivered one of the world’s largest harsh environment enhanced mobility land rigs. Land rig construction is a natural extension of Keppel AmFELS’ offshore jackup rig building business and reflects Keppel’s continuous drive to expand into new markets. The yard also delivered Uxpanapa, a KFELS B Class jackup rig, to Mexico’s Central Panuco, a subsidiary of long‑time customer Perforadora Central. Uxpanapa will be chartered by Mexican national oil company PEMEX for work offshore Mexico. In 2016, Keppel AmFELS delivered one of the world’s largest harsh environment enhanced mobility land rigs. Looking ahead, Keppel AmFELS will pursue opportunities to service offshore companies in the areas of rig repair, conversion and reactivation, as well as newbuild Jones Act Vessels for the US market. In the Netherlands, Keppel Verolme delivered several repair jobs to the satisfaction of its customers. Consisting mainly of projects from the non‑drilling sector, these included the repair of a dredger for Jan De Nul Group. Keppel Verolme is well‑positioned to serve the needs of the North Sea market, leveraging its strong track record in executing complex offshore work and its strategic location. Situated at the crossroads of the Arabian Gulf, Nakilat‑Keppel Offshore & Marine (N‑KOM) services vessels in the Middle East region as well as gas carriers that call at the nearby Ras Laffan terminal in Qatar. In 2016, the yard repaired over 100 vessels, including tankers and LNG carriers. N‑KOM also successfully delivered its first liftboat, Al Safliya, to Qatari rig operator GDI, in a safe and timely manner without any lost‑time incidents. Built to the ORCA 2500 design developed by Keppel O&M’s design arm, Bennett Offshore, Al Safliya is the first liftboat to be wholly constructed in Qatar. Meanwhile, Arab Heavy Industries continued to build on its established track record for shiprepair, conversion, shipbuilding and steel fabrication. It repaired 131 vessels during the year, adding 13 new clients to its customer base in the process. Keppel O&M is well‑positioned to meet the exploration & production (E&P) needs in the land‑locked Caspian Sea through Caspian Shipyard Company (CSC) and Baku Shipyard in Azerbaijan. CSC handed over several projects during the year, including the Istiglal rig upgrade to Caspian Drilling Company, as well as a purpose‑built jacket transportation and launch barge to BP Exploration (Shah Deniz). Meanwhile, the construction of Azerbaijan’s first modern semi is progressing well, and is in its final testing and commissioning stage. The rig is being built to Keppel’s proprietary DSS™ 38M design and is customised for the harsh environment of the Caspian Sea. Baku Shipyard, the most modern shipbuilding and shiprepair facility in the Caspian Sea, completed 22 major repairs and delivered three 80‑passenger crew boats to Azerbaijan Caspian Shipping Company. Baku Shipyard is also busy with the construction of a Subsea Construction Vessel for deployment in the Shah Deniz field in the Azeri sector of the Caspian Sea. The offshore downturn presents opportunities to enhance the O&M Division’s long‑term sustainable, competitive position, in preparation for the upturn. Apart from managing the immediate challenges, Keppel O&M will further strengthen its core competencies, as it hones new capabilities to capture other markets and revenue streams, leveraging the Group’s multi‑disciplinary strengths. Despite a gradual recovery in oil prices, demand in the offshore rigbuilding market is expected to remain tepid. The oversupply of rigs remains a key concern, worsened by the overhang of rigs still under construction. Notwithstanding this, and while E&P companies continue to remain prudent in their capex spending, pockets of opportunities are still available. The last quarter of 2016 witnessed the approval of some capex investments. Mexico’s successful deepwater oil block auction saw the award of eight of the 10 blocks on offer to international oil companies. BP approved the US$9 billion Mad Dog 2 project, and Total S.A. and China National Petroleum Corporation signed an agreement to develop Iran’s South Pars gas field. Norwegian oil and gas company Statoil has announced plans to drill around 30 exploration wells in 2017. Representing a 30% increase compared to 2016, more than half of the wells will be drilled on the Norwegian Continental Shelf. Meanwhile in the Middle East and India, offshore E&P activities remain robust as national oil companies cash in on low dayrates in the region. With an extensive suite of proprietary solutions, execution expertise and a global network of yards, Keppel O&M is poised to capture a fair share of offshore rig opportunities when they return. Moreover, with the formation of Keppel LeTourneau, Keppel O&M now commands a share of about 40% of the current fleet of jackups in operation worldwide, which presents opportunities to offer aftersales and aftermarket services. The shiprepair market is expected to remain challenging due to persistent overcapacity. On one hand, tanker rates are likely to remain volatile as both OPEC and non‑OPEC countries cut production; on the other, fleet owners with tighter capex budgets are limiting the scope of their maintenance work to the bare essentials. Notwithstanding this, the ratification of the water ballast treatment treaty by the International Maritime Organisation (IMO) has resulted in more enquiries for ballast water management system installation. Keppel O&M will continue to focus on expanding its market share by improving turnaround time and seeking niche opportunities in the shiprepair segment. Keppel O&M will also focus on streamlining its operations to improve margins. Final Investment Decisions of oil fields and FPSO projects continue to shift to the right. The Energy Maritime Associates estimates that in 2017, the Floating Production System (FPS) orderbook will fall back to levels seen during the last downturn in 2009 and 2010. To maximise operational efficiency and withstand the challenging industry conditions, contractors and shipyards are moving towards standardising FPS specifications to reduce cost and delivery duration. Keppel O&M will continue to monitor the pipeline of projects and proactively engage customers early to provide cost‑effective solutions. The demand for gas is estimated to grow at an average of 1.6% a year, and would likely overtake coal as the second‑largest fuel source by 2035. The use of LNG as an alternative marine fuel is also on the rise as a result of emissions reduction goals set by the IMO and the United Nations Climate Change Conference. With lower charter rates for LNG carriers, owners have become more open to redeploying existing assets such as Floating Storage and Regasification Units. 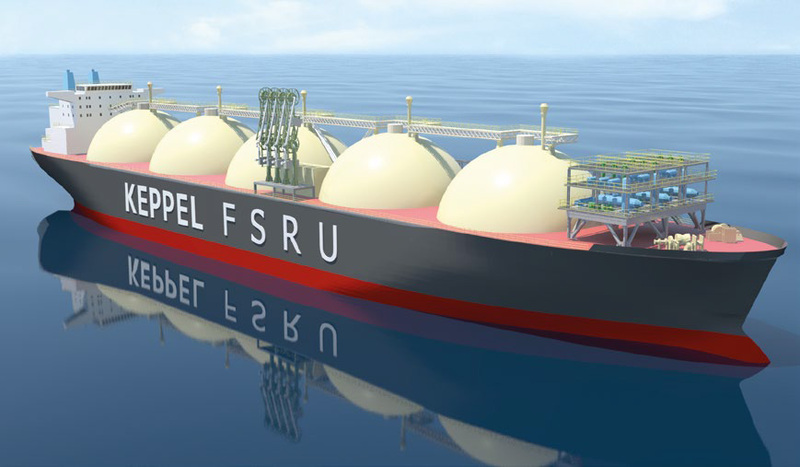 Keppel O&M’s JV with Shell to supply LNG bunkering services in Singapore, coupled with an MOU to jointly explore opportunities to cater to the demand for LNG as a fuel in coastal areas, inland waterways and the international marine sectors, will enable us to capture growth in this sector. Meanwhile, Keppel Shipyard’s execution of the world’s first‑of‑its‑type floating liquefaction vessel conversion for Golar LNG is on track for completion in 2017. The deployment of Golar Hilli in 2017 will put Keppel ahead of the curve for floating LNG solutions. With a wide spectrum of solutions for both onshore and offshore liquefaction, as well as LNG transportation solutions including LNG carriers, tugs designed with dual‑fuel diesel LNG engines, and the expertise in retrofitting vessel engines to run on LNG, Keppel O&M is in pole‑position to capture opportunities across the gas value chain. With a suite of robust solutions, Keppel O&M is poised to capture opportunities in a growing gas market. Prospects in the specialised shipbuilding market remain robust, particularly for non‑oil related solutions such as dredgers, as well as vessels for subsea construction, cable lay and rock dumping. This augurs well for Keppel O&M, which leverages its technology and construction expertise, as well as its Near Market, Near Customer strategy to serve customers in niche markets. As a consequence of the Jones Act, which requires vessels travelling between US ports to be US built, owned and flagged, the current US‑built ﬂeet is about 33‑years old on average, compared to 13‑years old for the global ﬂeet. Through Keppel AmFELS in Texas, Keppel O&M is well‑placed to capture opportunities in the replacement cycle for the aged Jones Act fleet. Looking ahead, Keppel O&M’s concerted gas strategy and its enhanced suite of non‑drilling solutions will help to create new opportunities for the company, as well as cushion the impact of weak demand for drilling rigs.